We decided yesterday where our areas are. We are going to have northern Maryland and the elders will have DC and Virginia. The new elder is Elder Tracy he is very sweet and close to the other ASL sisters as they were in the same district and a tri for the last week in the MTC. Elder Wood is feeling a lot of responsibility to get things going. We are doing a 40 day fast purifying thing in our zone this transfer. I have done it before and it is really great! I know Elder Tracy will be really great with Elder Wood with his greeny fire and I hope we as sisters can do that as well. Honestly I'm feeling pretty humble to be here. We were discussing this morning about how much The Lord must care about this place to send 6 full time ASL missionaries here. 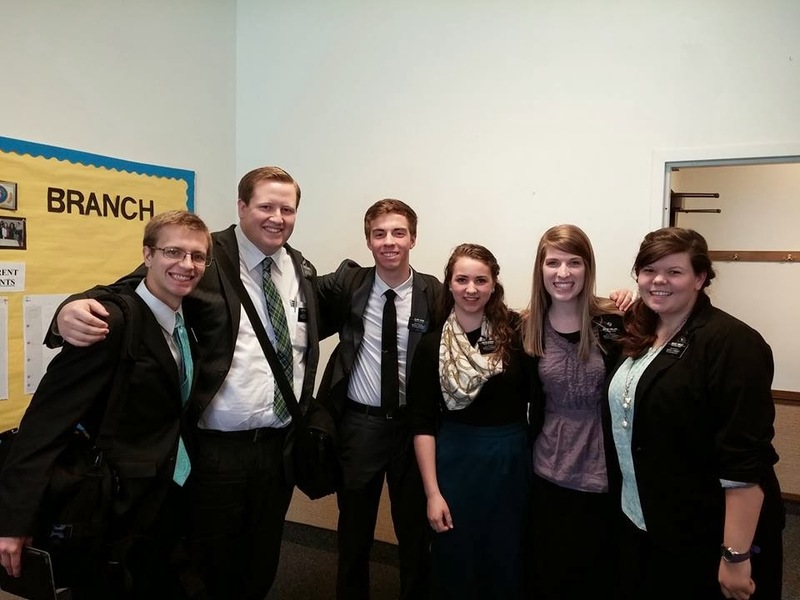 Yes in the next 12 weeks there will be two more ASL sisters and another elder coming. So Elder Wood will go back to Spanish and I to Temple Square. So I pretty much have to leave this place knowing my baby's can handle it. I know they will and that is my goal. It was GREAT to meet the Schoemigs they are great! Their whole family came to the deaf branch on Sunday. Elder Schoemig will be greatly missed. It's nice to have FB to contact him and ask for advice. Might use him as member present too. Sorry this is so short but I am out of time for today. and Sisters Bascom, Phillips and Turley.